I was kindly sent some tea to try from Twinings. 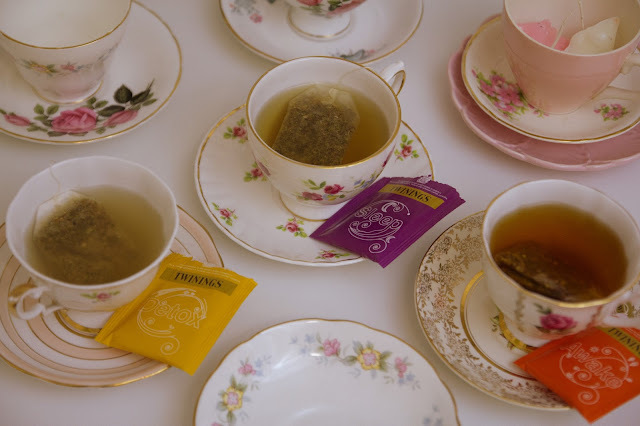 These teas are from the Benefit range and are all-natural. What better way to treat your insides to the good stuff than with a nice healthy cup of tea! This range offers you a selection of different flavours and benefits to choose from. Detox, Digest, Purify, Awake, Defence and Sleep. The Lemon in this tea is so distinctive. The lemon especially kicks in when it reaches the back of your throat. It is so refreshing. The lemony aroma is quite sweet and zesty. The refreshing lemons and milk thistle is the perfect tea for the morning after a good catch up with friends and cocktails the night before. Milk thistle is a great Detox ingredient and is said to have protective effects on the liver. The soothing camomile and lavender creates a smooth and herbal taste. The lavender is such a relaxing scent. As a child, my mother used to spray a lavender scent on to my pillow at bedtime. I also had lavender sheets in my pyjama drawer. 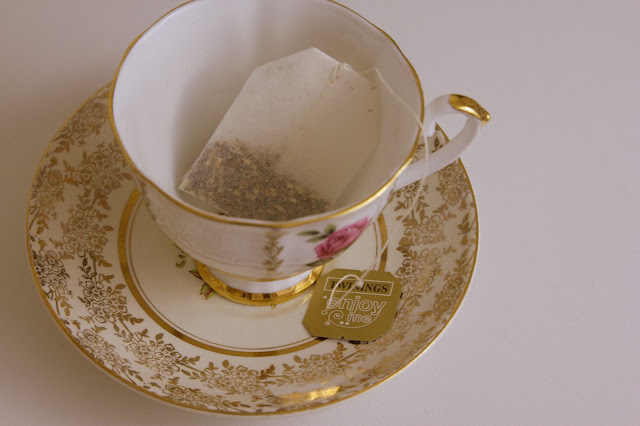 This tea will definitely be enjoyed just before bed, snuggled under the floral sheets. The vanilla pod leaves a sweet honey like taste, which gave me a great idea. Add a squirt of honey-Delicious. The mixed spice aroma of this tea is very piquant. The ginger and cinnamon are quite intense. There is quite a strong pepperminty taste when the tea reaches the back of your throat, which is very refreshing and surprising. This and the strong cinnamon taste gives the tea a real kick- perfect for awaking any sleepy head. **The Prince's verdict: The Detox tea is his favourite, he likes the Lemony aroma. The tea was not dry like he expected it to be which is a thumbs up. Bonus points for Milk thistle. 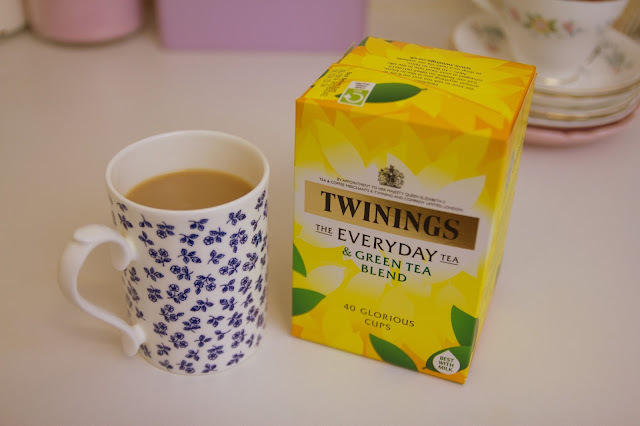 Twinings also sent me some of their Everyday tea and Everyday & Green tea. This is something I had never even heard of before. My normal cup of morning tea AND green tea... TOGETHER?!? It tastes really good and the green tea taste is fairly subtle, which is perfect. It feels good knowing I am drinking a regular cup but also drinking some healthy herbal tea at the same time. Ohh I will have to try these out! 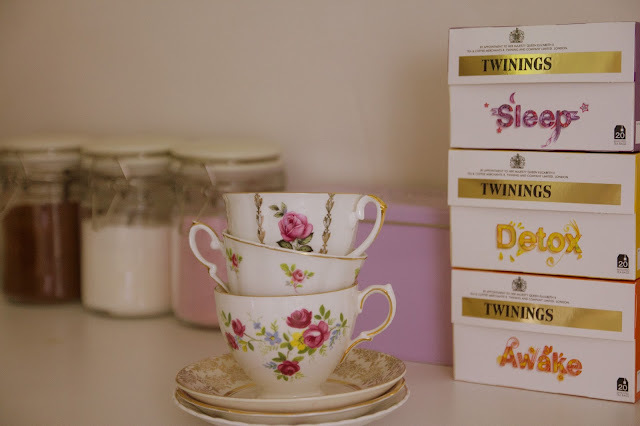 oh twinnings, that's my fave tea! these look great and those teacups are gorgeous. The Detox one sounds the best! I'd love it if you checked out my brew reviews! :D We can discuss our unhealthy obsession with drinking tea! Gorgeous teacups, and I wish that we had this brand in Canada...! 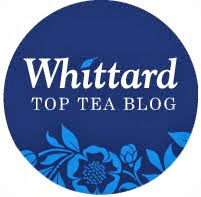 My Favorite tea! I love all the Twinings Tea (and their beautiful tins) .. Especially Earl Grey!